One of the keys to great pizza-making? Don’t overthink things. At the Sarasota restaurant Baker & Wife, owner and chef Isaac Correa’s Neanderthal-simple pizza dough recipe is short enough to fit in a tweet and includes just four easy-to-find ingredients: all-purpose flour, yeast, kosher salt and water. Mix those gently, let the dough sit for 12 to 24 hours and, voilà, you’re ready to bake. Correa’s sauce recipe is also a no-brainer: canned tomatoes, Parmigiano-Reggiano, garlic, salt, pepper and olive oil. Only right before the pizza goes in the oven should you go wild with whatever toppings you like. 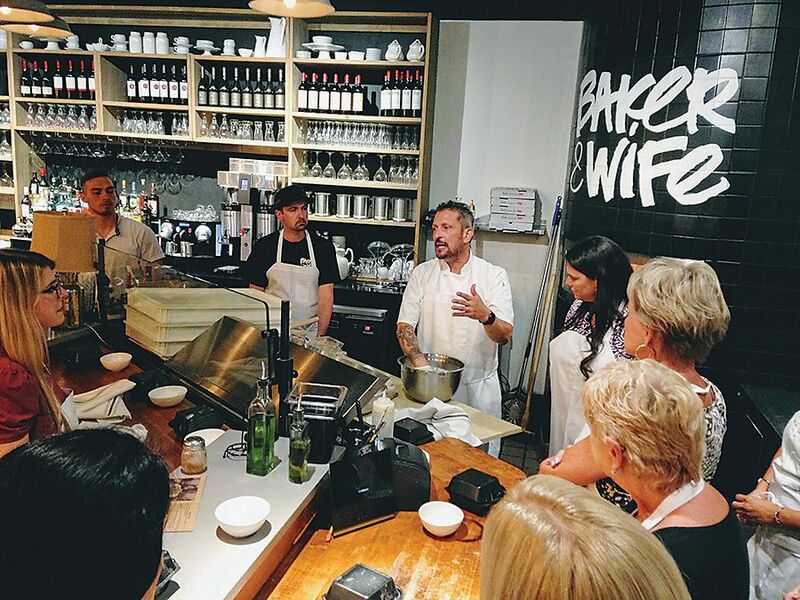 Correa shares his tips on DIY pizza-making during periodic workshops held on Monday evenings when Baker & Wife is closed to the public. He offers hands-on demos that cover how to flatten and shape the dough, how to flavor your pizza and how to get a crackling crust even if your home oven tops out at 500 degrees Fahrenheit, like most do. (At Baker & Wife, the pizzas cook at closer to 700 degrees.) Investing in a pizza stone helps, but isn’t necessary, Correa says. You can get great results by using a small skillet and leaving the dough a bit thicker. You might not end up with the ideal Neapolitan crust (thin, pocked with irregular air holes and blackened in spots), but the results will still be delicious. Another way to achieve pizzaiolo-quality crust is to use your grill, which can super-heat a pizza stone in a way your oven can’t and introduces a smoky flavor. Whatever you do, keep it simple. Visit bakerwife.com for info on upcoming workshops led by Correa. 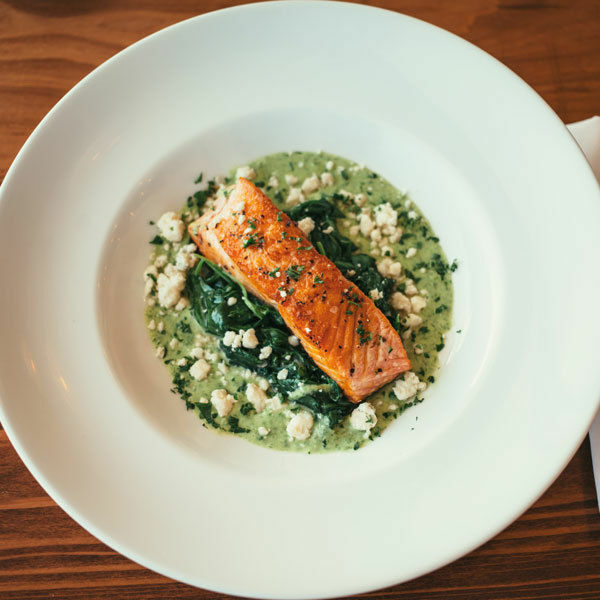 A comfortable American bistro-gastro pub with a likable full bar that's garnered a loyal following since opening last spring.